FABPOW, where have you been?! The last one was so long ago; I’ve been neglectful. Not that I haven’t tried. I have tried. Most weekends I’ve tried. I just haven’t succeeded. I’ve had some good matches but good isn’t good enough. A FABPOW is better than that. And this one is seriously good. It’s also in time to celebrate Pancake Day. My version is a classic pancake recipe (English-style, not thick American-style) with a slosh of stout in the mix and a handful of blueberries in the pan, then covered in maple syrup on the plate. The beer on the side was Dogfish Head's Palo Santo Marron. The bottle was almost three years old but it still had loads going on: cocoa, vanilla, berries, a brandy-like booziness. 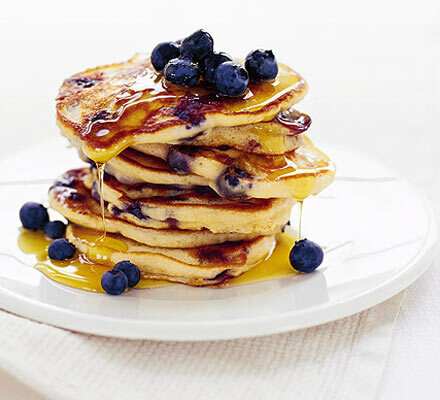 Just imagine those flavours with the burst of sharp sweetness from the blueberries and the maple syrup. Perfect. Any big, rich stout will be brilliant. When Germans and German-Americans first started brewing in North America in the mid-19th century, they used recipes from their homeland. These would’ve been amber-coloured, flavoursome liquid-bread, matured for months in pitch-lined barrels in cool cellars. They were lagers, opaque, but thanks to the lagering time which allowed the yeast to drop they were brighter and lighter than the muddy, dark, prone-to-sour English-style ales which had been brewed since colonial days. 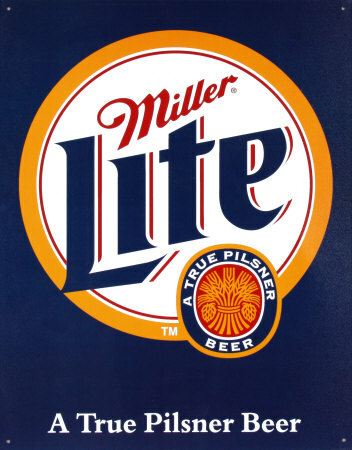 In Chicago, Philadelphia, New York and especially Milwaukee, lager breweries were started by German émigrés. To begin, their beers were mostly drunk by other Germans in their local areas. These German drinkers, foaming mug of lager in hand, also brought with them their drinking culture of leisurely mugs in beer halls with music, dancing, family and food. This was a stark contrast to the spit, sawdust and smoke of American taverns, where speed and greed were valued over pleasure. Americans were drinking spirits in the dark while the Germans were drinking lager in bright beer halls. Men with the surnames Anheuser, Busch, Best (to be passed on to Pabst) and Uehlein (Schlitz) had started their breweries. And they grew quickly, re-writing what brewing was in America and creating their own fortunes with ingenuity, determination and ambition. These were the guys who first used refrigeration for beer, who first pasteurised their beer, who built enormous automated bottling lines (in the 1890s, Pabst’s bottling line employed over 900 people and could fill 75,000 bottles an hour per spindle of their line; they had 96 spindles), developed transport networks around America in order to sell more beer and grew local, then national, then international companies. 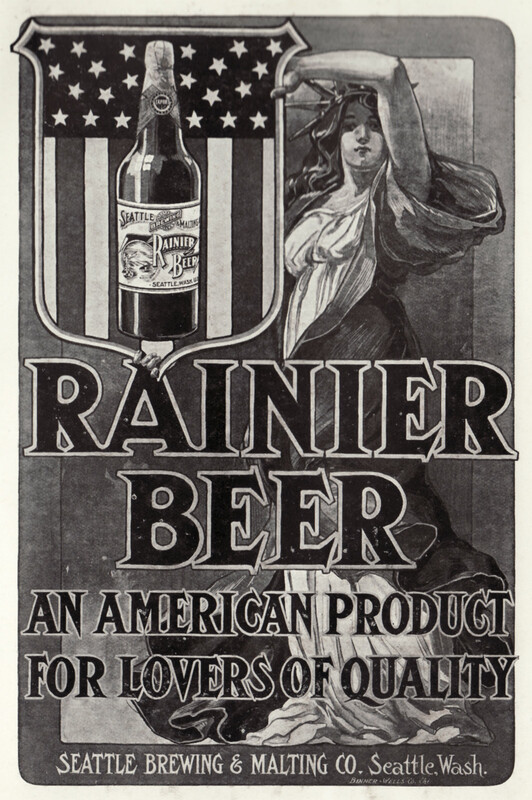 As the numbers of German-Americans grew, so their beer spread further and Americans started drinking it. 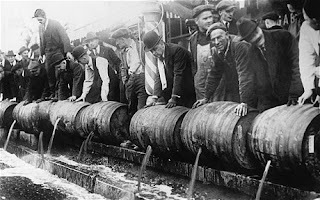 But the American taste for beer was different to that of Europeans: they didn’t want the ‘heavy’ Bavarian beers, they wanted something lighter – it was the German historical nourishment of liquid bread versus the American need for drunken speed. So beers evolved or new brands were released to satisfy the market demand. In the 1870s, brewers looked back to Europe and saw the bright beers of Bohemia – pale gold, light-bodied, clear and sparkling. This was the style of beer which Americans would like, the sort of beer they could drink lots of. But it proved difficult to brew. Europeans used two-row barley but Americans used six-row barley; six-row is rich in protein and some of that remained in the finished beer, forming a haze or unsightly clumps, as well as reducing shelf-life (this is still pre-pasteurisation). Darker Bavarian lagers could hide this haze but pale Pilsners couldn’t. And this new beer style arrived at the same time as glass became the drinking container of choice: suddenly beer had to look good. This is where adjuncts come in. Brewers needed something with starch and useful sugars to reduce the amount of barley. Corn worked; it absorbed excess protein in the barley and stretched the six-row further (meaning less needed to be used for beer-quality reasons rather than financial ones), but it also added an unpleasant flavour as it contained oil. A better adjunct was rice. This new light, clear lager was now a beer unique to America, used in order to produce a better, brighter beer, not a cheaper one. And this modern beer was exactly to American tastes where quality quickly became associated with pale and sparkling. 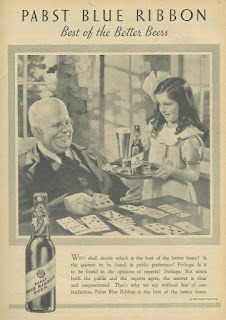 Throughout this period, the successful breweries – Anheuser-Busch, Pabst, Schlitz – were focused on quality, consistency and reaching new drinkers, and they brewed, by all accounts, some of the best beers in the world, reaching a notable high in the battle at the World Expo of 1893 which awarded Pabst the medal for which it still wears a blue ribbon today – Budweiser took second place, beating lagers and ales from around the world, including the German beers which inspired the new style of American lager. Then came Prohibition. More than a decade dry, America had turned to soda and 13-year habits are hard to kick. Those dry years saw big advancements in life: people now spent time at home where they could listen to the radio or spend time with their family, and if they drank then they did so at home (packaged beer was 10% of the market in 1919; by 1940 it was split 50-50; by 1960 it was 80% packaged), or they’d go to the movies, where they’d watch svelte Hollywood starlets sipping cocktails (post-Prohibition, obviously), a sight far removed from the bouncy Bavarian beer wenches. Then came recession, the Great Depression, World War II and ingredient rationing. Some brewers changed and cheapened recipes to keep away from bank managers or to keep up with demand; others, including some of the big guys, for whom premium quality was essential, refused to compromise on ingredients and so brewed less. When recession and rationed ended, some breweries just carried on using the adjuncts, liking the savings they made on cheaper ingredients. Times changed again. The knock-on from Prohibition to war to general technological, commercial and industrial advancement saw a very different America in the 1950s to how it’d been 40 years earlier. 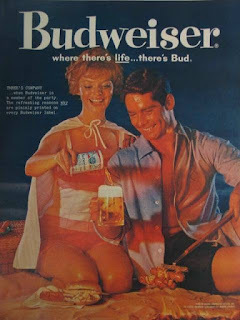 The ‘drinking demographic’ of 20-40 year olds was low in the 1950s and spirit sales went up while beer sales went down. Dieting and bad health became part of the public conscience and beer was unable to rid the wench’s fat-fingered grip. The rationed diet of the last two decades also saw a blanket blandness and a palate that wanted sweetness combined with a new desire for convenience, so mass-market beers sat beside sliced white bread and packets of processed cheese. As had happened in the 1870s, when the amber beers of Bavaria became the pale beers of Bohemia, so in the 1950s Americans wanted less-demanding drinks and beer changed to suit to the tastes of the nation. Enter lighter beers, drier beers, weaker beers and, in the 1970s, Lite beers. These brewhouse changes happened with a backdrop of mergers, takeovers, buyouts and breweries going bust, as the big boys looked to spread across America while the small breweries just tried to keep going. Survival was made harder as consumers started looking for cheaper beers over premium ones – the big brewers adapted and had the mountainous volumes to push prices lower and lower, forcing the small breweries to fight over dimes, not dollars. Brewing corporations brutally ruled the market. Then things changed again. The liberal, world-conscious and curious attitude of the 1960s and 70s saw people travelling more and experiencing other cultures, which saw import beers rise in popularity. Then came homebrewing (though still illegal until 1979), an extension of a growing knowledge of food and ingredients, and a way away from the corporations and towards small producers. Changes were happening while the big brewers were still perpetually searching for new markets, still spending millions on advertising and still changing their recipes by reducing rather than adding flavour. 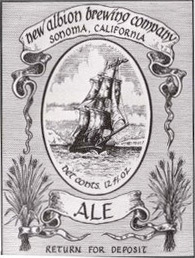 The change started with Anchor, New Albion, Sierra Nevada, Redhook, Boulder Brewing, Mendocino Brewing and others. Then come more and more. Followed by an on-going burst in America since the 1990s. In 1880s, there were over 4,000 breweries in America, which dropped to around 1,500 before Prohibition, of which less than 200 survived to the repeal of the amendment. In the mid-1980s there was only around 80 breweries owned by 60-odd brewing companies. 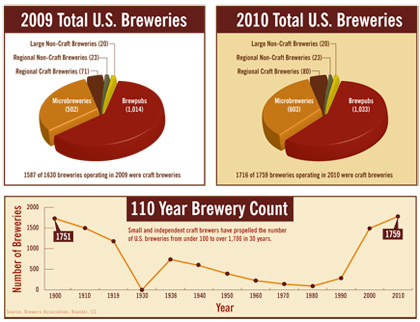 There are now around 2,000 craft breweries in America with over 900 in planning (in the UK, in 1910 there was over 4,500 breweries, dropping to just 191 in 1980; now there are over 1,000). The small guy now had a say. 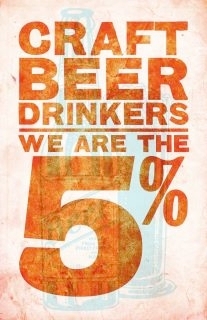 ‘We are the 5%’ has become a proud bumper-sticker-slogan for the craft beer minority of America. Brewing is booming, even if the big companies, which are now really big companies thanks to mergers and takeovers, still hold the huge majority of market share; the monolithic giants are being pushed around by a growing army of little guys. In the 1870s and again in the 1950s, German-American breweries changed their recipes to suit what the drinkers wanted. Now look at the last 15 years. The main brands rarely change but big brewers are always searching to be at the forefront of things, to position themselves to slot into different markets with different products: Blue Moon, Budweiser American Ale or the Brewmaster’s Private Reserve, Shock Top, Green Valley Brewing or see the list of AB-InBev brands, especially the Michelob brews which includes a lager funked up with brettanomyces and a Rye Pale Ale. The big brewers are now having to seek inspiration from the craft breweries, from the guys who are closer to the drinkers, more able to see how tastes are developing and shape where things go. But this isn’t about the big brewers any more. While it’s interesting to see what they do, they are being reactive instead of proactive. The forefront of the industry is now taking place in small mash tuns around the world by brewers who are creative and passionate and dedicated to making great-tasting beers with personality and character and flavour. The current trend is towards big flavour in beer. It’s the antithesis of the light/lite lagers which dominate bar tops and home fridges. These beers show you how different beer can be, how varied, how exciting. Not long ago, the beers of Belgium would’ve converted new drinkers but now it’s more likely they’ll have a double IPA than an abbey dubbel, and we have American brewers to thank for that, but we can also look at New Zealand, Sweden, Italy and the UK as countries who are taking beer further, doing new things, giving drinkers more and better choices. And choice is what’s great about beer right now. It’s hard to introspect what’s happening in terms of changing tastes but we can anecdotally see that more hops are being added to beers, different hop varieties are being used, strong beers are no longer fearsome, breweries are experimenting with different styles, ingredients and yeasts, sour beers are a big thing in America, barrel-aging isn’t slowing down, old recipes are being recreated and new ones are changing what we thought we knew about beer. 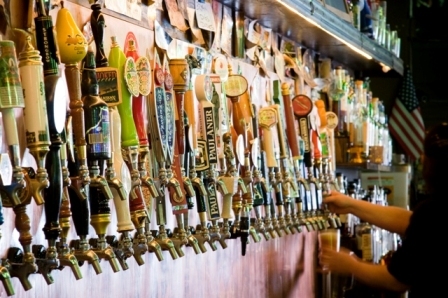 Before travel networks were laid across America all beer was local. 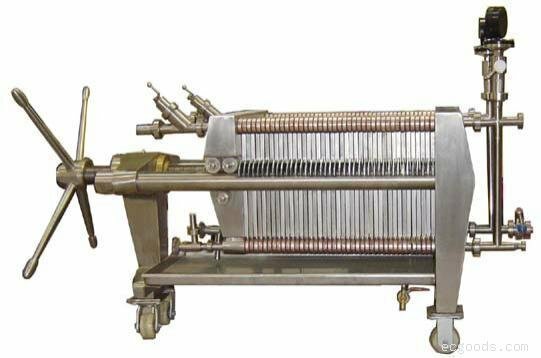 This allowed for those 4,000 breweries to operate in the 1880s as each had their own market. 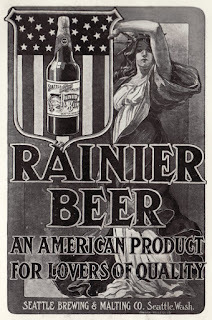 With roads, trains, ships and planes, plus pasteurisation, bottling, canning and refrigeration, breweries were able to ship beer further and look nationally instead of just nearby. Now provenance is back. There’s an interest in where things are from and there’s a parochial pride in supporting local businesses and community. And that’s making room for more new breweries to start filling their fermenters all over the world. Tastes change. The big brewers have always had to react to the tastes of their drinkers: opaque, heavy amber lager became pale and sparkling pilsners which then became lighter, drier lagers. Now flavour is back and drinkers are more knowledgeable and curious than ever. The full-on aroma of American hops is an exciting change to the tastebuds, a rich stout is deeply satisfying, a sharp sour is refreshing and complex and lagers have their flavour back. Tastes change and who knows what’s next. Who knows how the big brewers will react to it – maybe it’ll be buying more craft breweries, maybe building new breweries of their own and backing it up with advertising spend, maybe we’ll see them recreate their pre-Prohibition lagers. Who cares how they’ll react; there are a handful of them and thousands of us now. As knowledge grows, as people experience different beers, as the thousands become tens-of-thousands and the mash tuns go from 5 barrels to 50, so tastes will change and drinkers will want different things. The past is fascinating; the present is exciting; the future is going to taste even better. A lot of the history stuff comes from reading Maureen Ogle’s excellent Ambitious Brew. If you haven’t read it then you must. The whole story of American beer is deeply fascinating and was the inspiration for writing this. Ken Wells’s Travels With Barley also helped form my knowledge of American beer. Randy Mosher filled in some gaps on the history of American beer in Tasting Beer. 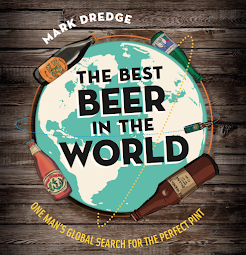 The Oxford Companion to Beer is always a great resource to dip into. Stats and figures come from The 2011-2012 Cask Report, the British Beer and Pub Association’s Statistical Handbook 2011 and via pages linked above. Images from here, here, here, here, here and here. Filtration is one of the things which I never understood before I got to see it happen a few days a week. As I didn’t understand it, I say it as a bad thing, something only the big breweries did as part of their flavour-reduction mission, but I was wrong. This is the filtering process I know (there might be other ways of doing it): unfiltered beer from the tank mixes with kieselguhr, a diatomaceous earth (which Wikipedia explains better than I can). The kieselguhr catches the yeast still left in the beer, clumps it together and this then gets left behind on a gentle plate filter (you can choose how fine or coarse you want the plates to be) which the beer passes through. So it goes in cloudy and comes out clear and the process is there just to remove the haze. But it’s about the flavour and that’s important. Filtration inevitably removes flavour as it passes through the filter, but what is left behind is just yeast so what you find is that the flavour changes, the body changes and your perception of the beer changes. I can give the three examples I know: a lager, pale ale and wheat beer. First, the one that’s unfiltered: wheat beer. It’s all about the yeast in the beer and you can taste and feel it when you drink: it’s got a fullness to it, a fatness, a juicy roundness. The yeast is there to give texture, flavour and aroma – it’s very different when it’s not cloudy and it becomes drier and crisper, lacking the creaminess that you want from wheat beer. The beer is tastiest cloudy. Lager is the best way of showing filtered beer: unfiltered it has a rich fullness to it, a rounded flavour profile, a softness; filtered it becomes dry, crisp and sharp. Lager should have a snappy finish to it and so filtration is key to get that refreshing quality (though I do totally adore unfiltered lager, it’s just a different drink to the filtered stuff). It’s similar with pale ale: you want the hops to be bold but in unfiltered beer you’ve got other stuff softening the bitterness and wrapping it in the roundness of yeast. By filtering you take the roundness and make it sharper. It’s like a sentence which ends with a dash or one which ends with an exclamation mark. 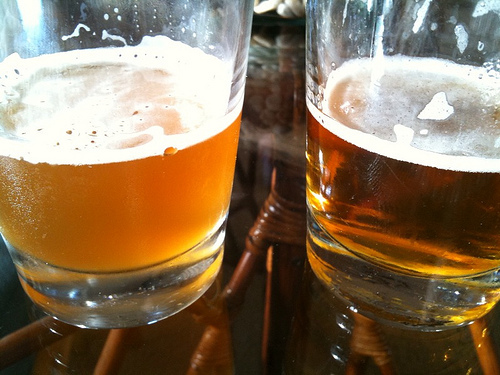 Drinkers don’t want opaque beers. Every beer is different: some styles are better filtered, others are better unfiltered, some work best with isinglass pulling the yeast to one side (though only in cask beer). Sometimes I want my lager to be unfiltered but it’s doing a different job to if it’s the crisp and refreshing filtered version; the flavour changes, the body is different, the beers are different, but both are good. UPDATE: In trying to talk about the good side of filtering, I left out a whole paragraph about the bad side of filtering, because not all of it is gentle and not all of it is done as described above (the DE filtration described is the only one I have experience of). See comments below for more where I stopped. As for the 'triple filtered' Stella Artois, I suggest they need a new filter that does the job once. I bought it filled with fresh IPA from Lovibonds. Carrying it on the train was heavy and people looked at me funny. I took it to a party and drank it all. The beer was delicious. 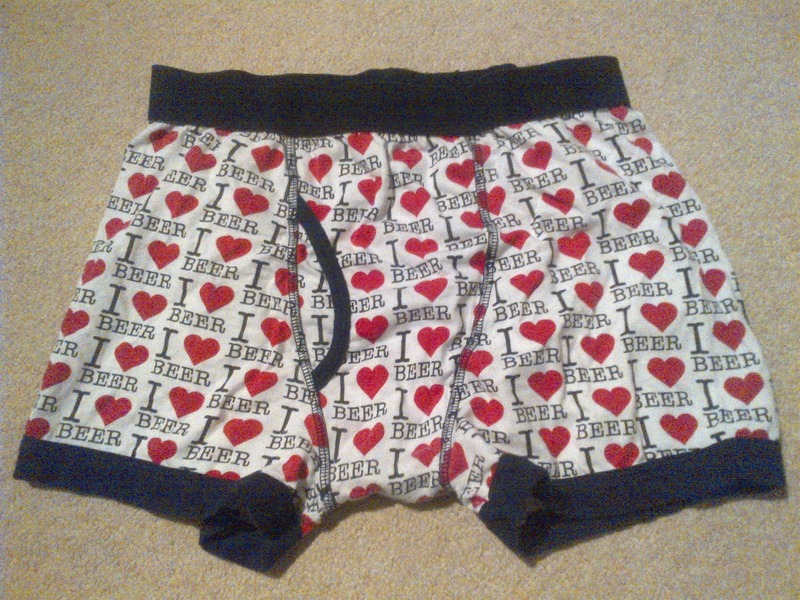 No beer has been in it since. First it was a decoration in the corner of my living room. Now it is a door stop. This month’s The Session is hosted by Washington Beer Blog. It’s about Growlers. We don’t really do growlers in the UK.